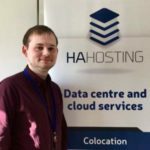 Nice to meet you all, I’m Chris Allen and as of this last week I am now part of the HA Hosting team as the resident Digital Marketer, although as I’m the first position in this sort of role for HA Hosting I’m basically the “Head of Digital Marketing” …well unofficially anyways. I’ll be working with a focus on all things digital marketing, trying my best to breathe new life into our social media accounts, blog and website. Along with this we’ll be having the expertise of Watertight Marketing consulting us from the outside to make sure that our digital marketing is as good as it can possibly be. From now on I’ll be in charge in managing the social media accounts and blogs, proving regular updates to both to keep you in the loop with what we’re up to at HA Hosting. I’ll also be the first port of call on our social media accounts so any comments or question you may have on any of these platforms will be answered by me. So I’m looking forward to chatting to you all! 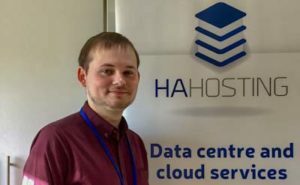 I’m looking forward to starting properly and working on helping HA Hosting get itself out there as best as I can! You’ll be hearing a lot more from me over the coming weeks, so I’ll look forward to hearing back from you too. *HA Hosting: The Movie hasn’t technically been confirmed as a definite no.